PCM is a leading construction company offering SLIPFORM equipment rental with professional supervisions, equipment usage design and drawing. Participated in many projects for over a decade, we are now experienced and equipped with an extensive inventory of equipment ready to provide on-hire. Slipform technique is an advance method of construction recommended for high rise structures such as building, service shaft, tower or chimney. This highly mechanized method is well known and chosen for many large scale constructions all over the world. 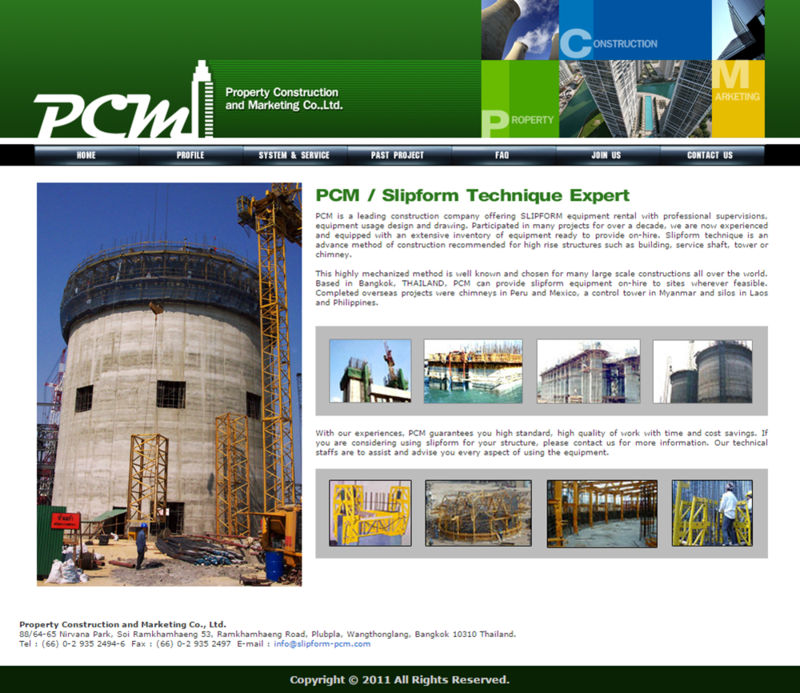 Based in Bangkok, THAILAND, PCM can provide slipform equipment on-hire to sites wherever feasible. Completed overseas projects were chimneys in Peru and Mexico, a control tower in Myanmar and silos in Laos and Philippines.